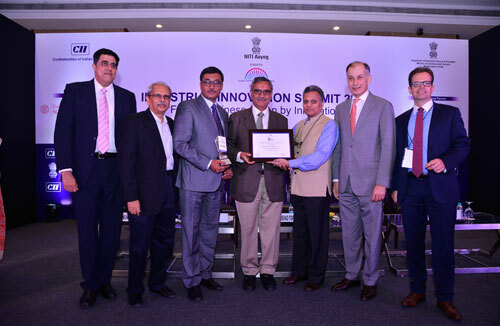 Sahajanand Technologies Pvt Ltd (STPL) was recognised among the 26 top companies at the CII Industrial Innovation Awards 2017 ceremony held recently in Delhi. The awards ceremony was hosted by Confederation of Indian Industry, the apex industry body. The awards were instituted in 2014 to recognize and celebrate innovative Indian enterprises across industry segments. STPL was the only company associated with the diamond industry to receive this award, the Company said in a release. It was awarded for its innovative artificial intelligence-based, robotic technology solutions for the industry. The CII report of the event describes it as a smart technology that keeps in mind the needs and challenges of the industry, while boosting self reliance and consistent growth. According to STPL, the innovative solutions it has offered have helped in increasing production, reducing the time taken and the possibility of human error, thus resulting in greater precision and quality in production. STPL has earlier received the Good Design and India Design Mark Awards from Japan and US based organizations.